DJ Icey, dj icey, Keith Mackenzie, Sychosis, Dubaxface, All B and more. This show was 80th in the global breaks chart. 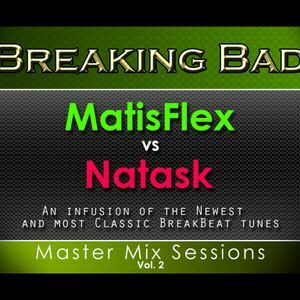 Volume Two of MatisFlex and Natask tag team mixes titled "Master Mix Sessions". Natask Brings some of everybody&apos;s favorite breakbeat classic. While MatisFlex brings the newest sounds in BreakBeat. Listen as the two of them go back and forth on a 3v3 tag set.